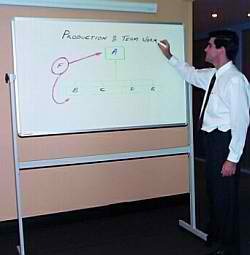 visioNext whiteboards come direct from the factory. This means you get the best value on commercial grade whiteboards. All are fitted to a sturdy tubular steel frame with tilt lock angle adjustment. Castors with brakes have been fitted for convenience.